New York, so good they named it twice! 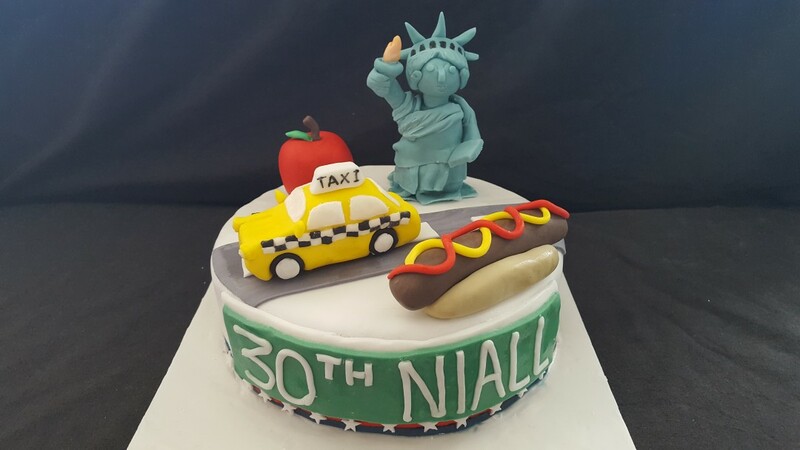 A New york themed cake, decorated with The statue of liberty, a yellow cab, a big apple, a hot dog and the birthday boys name and age on a New York street sign. All handmade and completely edible.